When I went apartment hunting, one of the things that sold me on my current place was the kitchen. I'm always keeping my eyes open for attractive dish soaps that I don't mind placing on my counter (not to mention, are eco-friendly, have a pleasing scent, and can actually wash a dish!). When I went apartment hunting, one of the things that sold me on my current place was the kitchen. It’s not that it’s big (what New York City kitchen is? ), but it was recently remodeled, had a charming checkerboard backsplash, and a window with an amazing view of the city--including my favorite pizza joint. Since the kitchen is one of my apartment's biggest selling points, I hate to clutter it up with anything unsightly, including a blah bottle of dish soap. 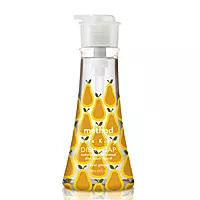 Thus, I'm always keeping my eyes open for attractive dish soaps that I don't mind placing on my counter (not to mention, are eco-friendly, have a pleasing scent, and can actually wash a dish!). 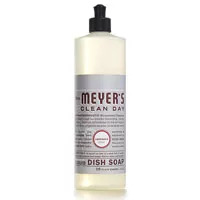 The following are three of my favorites that meet all of my "dish soap standards." Here’s to getting sudsy in style.